The Center of this carpet is the main Eye-catching point so whenever you use it in the feature, always put a transparent table on it. It is the best silk carpet for a low traffic area and you can also use it for wall hanging. Beautifully variations in color tone make a magnificent carpet. This carpet gives a soft and cozy touch to your feet. This indoor area rug is hand loomed and has a low pile for easy vacuuming. 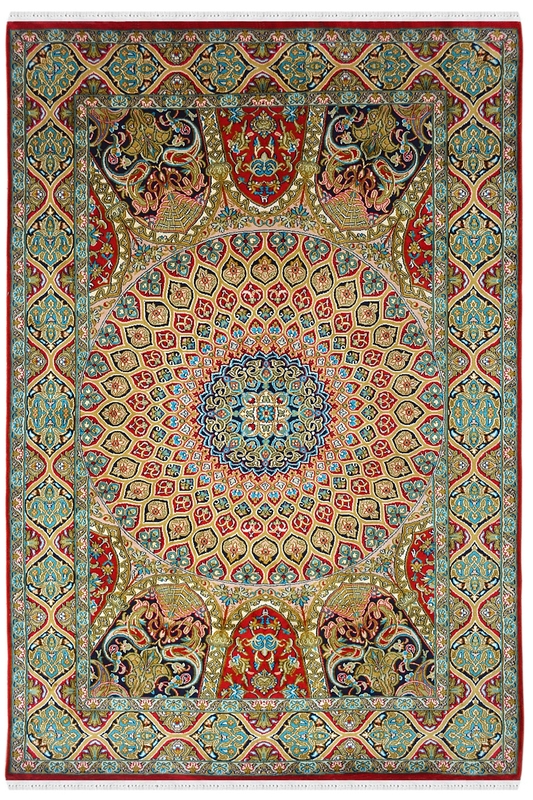 This traditional silk on cotton rug has multi natural colors in a random way to allow it to blend easily with any decor. It is 100% handcrafted by skilled weavers in Kashmir India. It contains Ardabil design pattern and has taken many 7-8 months to weave.